National PB&J Day (2nd), Tell a Lie Day (4th), Draw a Picture of a Bird Day (8th) , Eight-Track Tape Day (11th), Big Wind Day (12th), Rubber Eraser Day (15th), Blah Blah Blah Day (17th), National Zucchini Bread Day (23nd), and National Honesty Day (30th), which just so happens also to be National Hairstyle Appreciation Day. (For more days to celebrate, click here.) What other month can you begin with lying and end with honesty? AMANDA CABOT :: "The year was 2004, and my writing career was at a crossroads. A dear friend’s death had made me reconsider the direction I was going. While everything seemed to be leading me toward writing for the CBA market, I wasn’t familiar with too many CBA authors, and so I wasn’t certain this was the right move for me. Then I discovered Stephanie Grace Whitson’s Secrets on the Wind. Her lyrical prose, vivid descriptions of life on a western fort, unforgettable characters and unique plot combined to form a book that grabbed my imagination and simply wouldn’t let go. When I turned the last page, I knew that this was the kind of book I wanted to write. I don’t claim to be in Stephanie’s class – few authors are – but her book was a turning point for me. I highly recommend Secrets on the Wind and, for that matter, anything Stephanie has written." Check out Amanda's newest release, Tomorrow’s Garden, Revell. Harriet Kirk is certain that becoming the new schoolteacher in Ladreville, Texas is just what she needs—a chance to put the past behind her and give her younger siblings a brighter tomorrow. What she didn’t count on was the presence of handsome former Texas Ranger Lawrence Wood—or the way he affects her fragile heart. But can Harriet and Lawrence ever truly conquer the past in order to find happiness? Book 3 in the Texas Dreams series, Tomorrow’s Garden is a powerful story of overcoming the odds and grabbing hold of happiness. CAMY TANG :: "Hi Honey, I'm Home by Linda Windsor was the first humorous contemporary inspirational romance I ever read. I had read other contemporary inspirational romances, and while they were good, this one had me laughing and enjoying it so much that it inspired me to write my own. Linda Windsor wrote with all the elements I enjoy in fiction--humor, hunky heroes, sizzling attraction, warmth and depth of character. The book I was inspired to write was an early version of my second manuscript, The Corinthian Rules, which was later heavily revised and published as Only Uni!" Camy writes romance with a kick of wasabi. Out now is her humorous romance series (Sushi for One?, Only Uni, and Single Sashimi) and her romantic suspenses, Deadly Intent and Formula for Danger. Visit her website at http://www.camytang.com/ and join her quarterly newsletter YahooGroup! 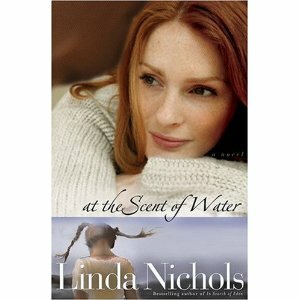 CHRISTINE LINDSEY :: "I LOVED Linda Nichols' books, Not a Sparrow Falls, and At the Scent of Water. So often we hear that readers don't like to get bogged down with inner thought or description. But some writers just know exactly how to do that and still keep you glued to the page. Linda Nicols is that kind of writer. It's the way she draws her characters, I felt so instantly for them. So that as they went through their struggles, I appreciated the beauty of their surroundings. When the separated couple in At the Scent of Water go through their house together, you feel the mutual pain of their memories, and LONG for them to just reach out to each other. When the character in Not a Sparrow Falls is tenderly caring for the sick pastor in his room, you are so stirred on a human level at his vulnerability and again long for them to get together as a couple. But Linda Nichols writes this type of scene with such decency and uprightness. I heartily recommend her books. They have lingered in my mind." Christine writes historical inspirational novels with strong love stories. Her debut novel, Shadowed in Silk, is set in India during a turbulent era. Christine’s long-time fascination with the British Raj was seeded from stories of her ancestors who served in the British Cavalry in India. Shadowed in Silk won the 2009 ACFW Genesis for Historical under the title, Unveiled. The Pacific coast of Canada, about 200 miles north of Seattle, is Christine’s home. It’s a special time in her life as she and her husband enjoy the empty nest, but also the noise and fun when the kids and grandkids come home. Like a lot of writers, her cat is her chief editor. 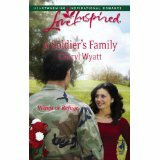 ELIZABETH PINA ::"A Soldier's Family by Cheryl Wyatt impacted both my life and my career. It was my first ever Love Inspired, chosen solely because Cheryl was a judge in one of my very first contests. I did miserably but she was both helpful and encouraging. I immediately bought two of her books and used them both for pleasure and study. This one will forever hold a place in my heart and on my bookshelf." Elizabeth is a 2010 Heart of Excellence Reader's Choice Award winner for her novel, Learning to Let Go, White Rose Press. For a free read of Elizabeth's novella, Cross My Heart, click here. JULIE LESSMAN :: "Books that "resonated" with me, eh? Well, since Gina's being the brat and not allowing me to talk about Gone With the Wind (No. 1 biggest book influence in my life), the list is pretty easy. At the very top is Liz Curtis Higgs' 'Lowlands of Scotland' series (Thorn in My Heart, Fair is the Rose and Whence Came a Prince). OH-MY-GOODNESS!! These books took me to a place few books ever have, magically weaving stories from Scripture into a pulse-pounding love story that gripped my heart and touched my soul -- FABULOUS!! Right on the heels of that trilogy comes Francine Rivers' 'Lineage of Grace' series, ironically also Biblical accounts fleshed out as fiction that literally brought me to the throne of God! For me, it doesn't get much better than this -- the Word of God captured in fiction by two soul-stirring authors clearly anointed by Him." Have you read yet Julie's latest release, A Hope Undaunted, Revell? Hope to it! LAURALEE BLISS :: "The non-fiction book I found truly inspiring and faith-filled during a very dark time is Holding Fast: The Untold Story of the Mount Hood Tragedy by Karen James. It is hard to imagine the awful circumstances Karen James was forced to endure at the loss of her husband in a climbing accident on Mt Hood, but she has done well portraying it in this book. I liked very much how she wrote about the incident. The first part deals with the unending rescue and painful wait. The second part is the loss itself. And lastly, she paints a picture of what she believes happened during her husband Kelly's last days on the mountain. But what I found inspiring was her spiritual insights. It's hard to comprehend how one can continue in their faith after enduring such a terrible event and loss of a beloved spouse, but Karen's enduring faith is the real triumph over this tragedy. It is the light we can all cling to when life sometimes delvers us only darkness. LAURIE ALICE EAKES :: "Well, this is going to sound odd to some people, four little books got me headed back on the path to the Lord. I don’t even remember the names of all four, but do remember the names of two and the author of one. Drewry’s Bluff by Loree Lough and Dream Chasers, whose author I can’t recall. Both were Heartsongs published around 1997. I read them because I’d met Loree and liked her book. The message was plain and straightforward and just what I needed at the time. After that, I sought more Christian fiction and, though I read little of it, what I did read impacted my spirit until I began to follow Christ again. Those two books stand out as the beginning of my journey back. Getting called to write Christian fiction seemed quite natural to me when it came, and I am honored to have that first book in the Christian market published by the Heartsong Presents imprint. Award-winning author Laurie Alice Eakes wanted to be a writer since knowing what one was. Her first book won the National Readers Choice Award in 2007, and her third book was a Carol Award finalist in 2010. Between December of 2008 and January of 2010, she sold thirteen books to Barbour Publishing, Avalon Books, and Baker/Revell, making her total sales fifteen. Recently, she added a novella to that collection, as well as having her first book with Baker/Revell, Lady in the Mist, picked up by Crossings Book Club, and three of her books chosen for large print editions by Thorndike Press. Her 3-in-1 collection, Jersey Brides, is available now! 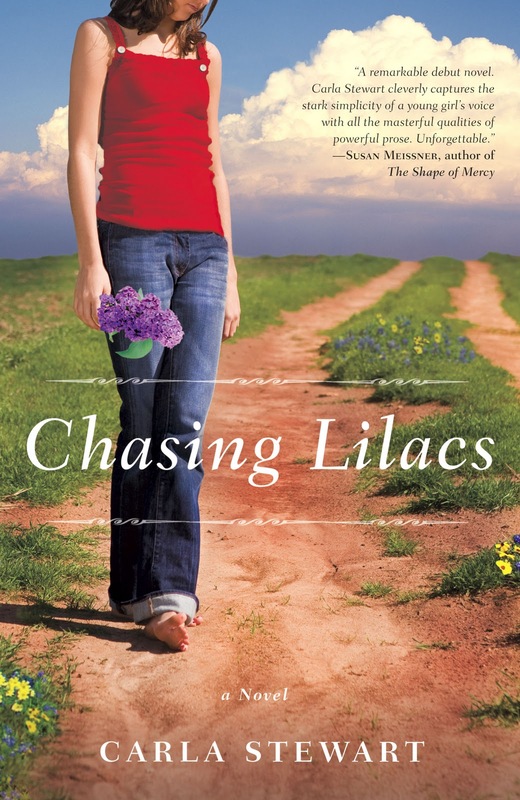 MARGARET DALEY :: "Last year I read Chasing Lilacs by Carla Stewart and was thoroughly enthralled by the story of Sammie, a young girl, whose relationship was delicate and heartbreaking with her mother. This book is a coming of age one with three dimensional characters who pull you into the story. When I taught high school, I taught To Kill a Mockingbird and after reading this story, I felt Chasing Lilacs could replace it as a book to study in school. A wonderful glimpse into human nature and what it was like to grow up in the fifties." Check out Margaret's April 2011 release, Trail of Lies, available now! As the mother of a beautiful daughter and the wife of a wealthy entrepreneur, Melora Hudson seemed happy. No one knew about the secrets hidden behind closed doors—secrets Melora was forced to keep. Now, two years after her husband’s disappearance, the truth may be exposed. His body has been found, and everyone has questions. Texas Ranger Daniel Boone Riley comes to find answers and stays to protect the woman and child who win his heart. But the terror of Melora’s past isn’t over. Her late husband’s old “associates” want her to carry his secrets to her grave. P.A. BAINES :: "Of late I have been trying to broaden my reading horizons, sampling such delights as What is Art? by Leo Tolstoy (his description of a dress-rehearsal in progress is simply brilliant) and Heaven is For Real by Todd Burpo et al. (a wonderfully simple description of Heaven as seen through the eyes of a child). Along the way I encountered an award-winning novella that was spoiled by a gratuitous stab at the Christian world-view, and a novel written from a Christian perspective that contained just a single reference to God that was so out of place it actually spoiled the story. There is, however, one book that stuck with me and made me see the world a little bit differently. It is Extremely Loud and Incredibly Close by Jonathan Safran Foer which tells the story of a nine-year-old Oskar Schell trying to come to terms with the loss of his dad during the 9/11 terrorist attack in New York. The story is told from Oskar's point of view and follows his attempts to learn more about a mysterious key hidden in a vase that belonged to his father. I wasn't sure what to make of it at first. Oskar is bright and energetic (almost annoyingly so), and constantly coming up with weird inventions (the purposes of which become apparent as the book progresses). It wrenched my heart and, although not my favorite in terms of style, it changed how I looked at the world. By the time I had finished the book, I knew I would not easily forget Oskar Schell and his quest to make sense of the madness that robbed him of his father on that terrible day." Gina says :: I highly recommend Paul's thrilling sci-fi, Alpha Redemption! I bought it because the premise fascinated me. Worth every penny I spent! When Brett loses everything in a tragic accident, he gladly accepts an invitation to take part in a prototype speed-of-light trip to Alpha Centauri, knowing that he may not survive. His only companion is the ship's on-board computer, Jay. At first he finds Jay an annoyance but, as time passes, the two become friends. With the voyage drawing to a close, Jay develops a sense of self-awareness and a belief in God. When it becomes clear that they cannot both survive the return trip, one of them must make the ultimate sacrifice. Alpha Redemption is published through Splashdown Books. RONIE KENDIG :: "I’ve read a lot of books and enjoyed them but the book that has most directly impacted me is Jim Rubart’s Rooms. Jim writes what I call 'living books,' because no matter where you are in your life, there is something in his stories that directly impact me. This happened with Rooms, because God used that to teach me a very deep and beautiful revelation about writing for our Audience of One. When I feel myself thrashing over my sales numbers, not winning awards, or feeling like a bottom-feeder, God reminds me Who I am writing for and why-simply to give Him the pleasure of seeing me use the gift He gave me!" Ronie has a BS in Psychology and is a wife, mother of four, and avid writer. Her novels include an espionage thriller, Dead Reckoning and a military series that focuses on PTSD and our heroes: The Discarded Heroes series. NIGHTSHADE, Digitalis, Wolfsbane (7/2011), and Firethorn (1/2012). In addition to speaking engagements, Ronie is a monthly columnist at the award-winning blog, Novel Journey. Ronie can be found online at www.roniekendig.com or at www.discardedheroes.com. QUESTION OF THE DAY :: What book have you read (recently or years ago) that impacted or resonated with you? Can be fiction or non-fiction. Great list, Gina. I see quite a few I need to read, especially the book Margaret Daly recommended, as well as her new release. I'm actually reading one of her books right now. Murder in Plain Sight. Very good. I've been impacted by a lot of books, but most recently, The Blessed by Lisa Bergren. (See my review of a couple of weeks ago). I have a situation I'm trying to come to terms with (very dear friend who is fighting brain cancer-it's just heartbreaking), and something Lisa wrote in this book really resonated with me regarding this. Ooo Ooo, look at those great books. Thanks for the suggestions, Gina, er, for being the conduit, m'dear. Good stuff. Thank you Lovely Authors! GINA!!! This was SO fun to read, getting a glimpse into what books have inspired other authors in their life and their writing journey!! OMIGOSH, I can't believe that I forgot to mention Redeeming Love by Francine Rivers because that book greatly inspired me in my own career. A pinnacle novel in the CBA, Redeeming Love showed me that God CAN and WILL use books with strong romantic passion that not only push the envelope of Christian fiction, but the heart and soul towards an equally passionate God. 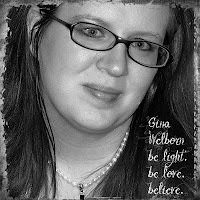 GREAT POST, GINA!! Thanks for allowing me to be a part of it. Suzie, as I was putting this list together, something resonated with me. Why is it I generally don't look favorably on book reviews? Well, because the reader is intentionally trying to say something fabulous about the book to entice readers to buy it. On the other hand, when you ask someone to share about a book that resonated with them, I'm more compelled to want to read that book too. Julie, I was actually surprised when I got your paragraph and it DIDN'T include Redeeming Love. My next thought was "Is Julie so predictable that everyone knows what books resonated with her?" No, it doesn't. One of the things I admire about you is your passion to tell others "This book made a difference in my life!" You don't limit your endorsements to an online review. Instead, you share every day. Well, not every day. LOL. From that I realize how more vocal I want to be about books that resonated with me. This week I read Amanda Cabot's new release TOMMOROW'S DREAM. For the life of me, I couldn't remember signing up to endorse it, but I had to have. LOL. As soon as I was finished, I read a book from Bethany House. Wow. There is a distinctive difference between a Revell book and a Bethany one. One thing Amanda Cabot does well is develop the emotional connection between her lead characters. To the point that it was obvious to the reader that the leads were in love even though neither lead had realized it yet. Nice! Let me clarify that I did not mean to imply that a Bethany book does not develop emotional connection. The last two paragraphs in my previous comment post are totally unrelated. I think God led me to reading Amanda's book this week was because He knew the next one I'd pick up was a Bethany House one. I can see a difference in the lushness of a Revell story compared to the event-driven scenes of a Bethany one. Fiction impacts me greatly. I think I learn more about God and life through fiction than any other single means. The very first book that really stuck with me was a YA novel called Maggie Adam's Dancer. Some of the earliest Christian fiction that really affected me was Francine Rivers historicals, although her contemp novels don't resonate with me as much. I've recently discovered Lisa Samson and seem to react strongly to anything she writes. Love hearing about books that inspire, transport, or just touch a nerve. That's why I read. That's what I try to do, too, Cheryl. I used to write reviews for two different magazines, and for one, we had to do exactly as Gina mentioned in her comment above: say something to entice people to buy the book - even if you didn't like the book. I didn't particularly care for that type of reviewing because it seemed almost like a rush to see which reviewer could give the most "quotable quotes" and thus become the most requested reviewer. I learned quickly that I couldn't rely on "quotable quotes" to tell me if I'd like a book. The other magazine I reviewed for, also required quotable quotes, but it didn't require them to be necessarily nice ones. I reviewed a lot of books I didn't like and it was a fine line between saying why you gave a book a certain rating and hurting an author. I didn't like that type of reviewing either. I don't review books I can't honestly recommend. If it does resonate with me or inspire me, I can't review it. I try not to just synopsize a book and say nice things. I try to give people a reason why it touched me. I know I'm not always successful, but I always strive to do better. I love Gina's idea of listing books that impacted authors. It's really great. Cheryl, where can I read your reviews? Oops - typo alert to be blamed on a tiny keyboard. I meant "if it doesn't resonate with me or inspire me, I can't review it." That was a fun post to be a part of. And it's nice to hear about what books have touched the hearts of others. I like to hope that maybe one day I can be as good a writer as Linda Nichols. And there are so many awesome writers to chose from. This was SO fun both to participate and to read everyone's inspiring novels! Thanks so much Gina! This is a great list! A book that inspired me (and I've said it before on this blog) is Demon: A Memoir by Tosca Lee. Everything about that book was amazing. There are some wonderful books in the list. Thanks, Gina, for doing that. Ohh, I saw that I won the April Fool's drawing. I look forward to getting my book by Mary Connealy. She is such a great author. Thank you so much for inviting me to participate, Gina. I'm honored to be on your list! It is very interesting to learn the stories that have a place in others' hearts. I'm really looking forward to Sugarplum Hearts!